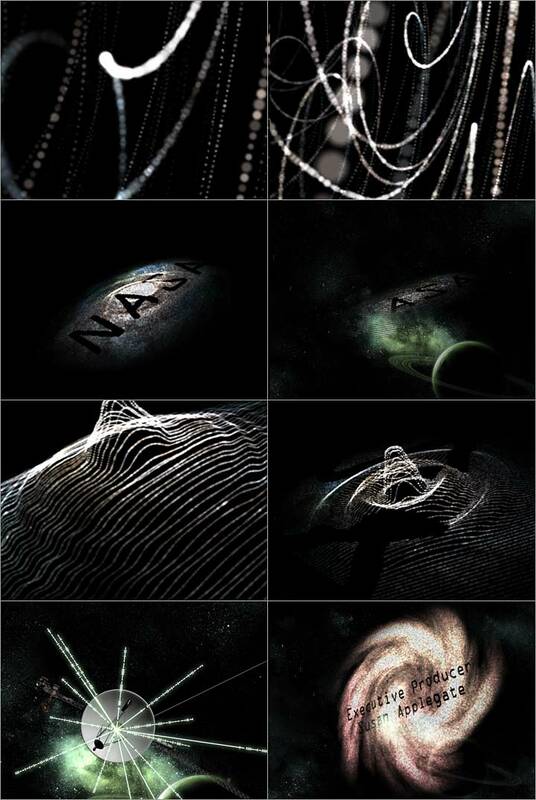 After having struggled with the opening titles for his documentary about the audiovisual collaboration N.A.S.A. The Spirit of Apollo, animator and director Syd Garon had somewhat of an epiphany when he saw Simon C Page's posters for The International Year Of Astronomy. 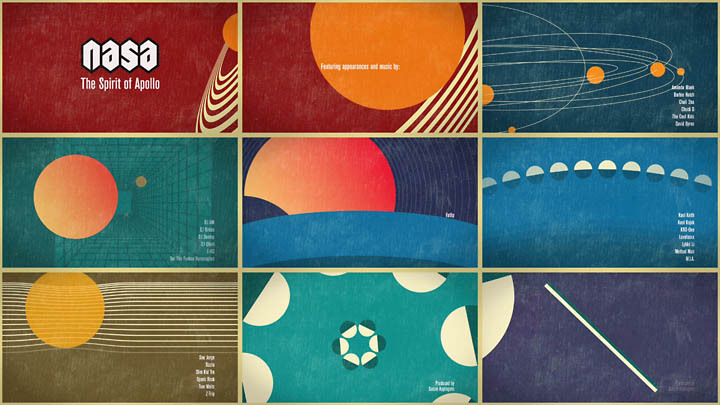 Like a tailored suit, Page's stylishly minimal geometric shapes representing celestial bodies in orbit proved to be the perfect fit for the titles. Watch the Titles talked to Syd about the spirit of creative collaborations. Released a couple of weeks ago, this gritty (lots of handheld camera work) but inspiring film N.A.S.A. 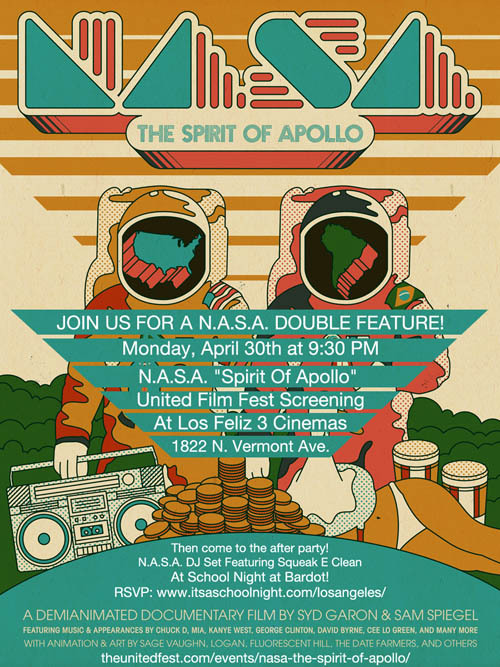 The Spirit of Apollo (Vimeo: trailer | teaser) documents the manifold musical and visual collaborations that are the heart and soul of the project that Syd Garon and co-director and N.A.S.A. musician Squeak E. Clean (Sam Spiegel) have been working on for years. What would be the best piece of advise to our readers about creative collaborations? 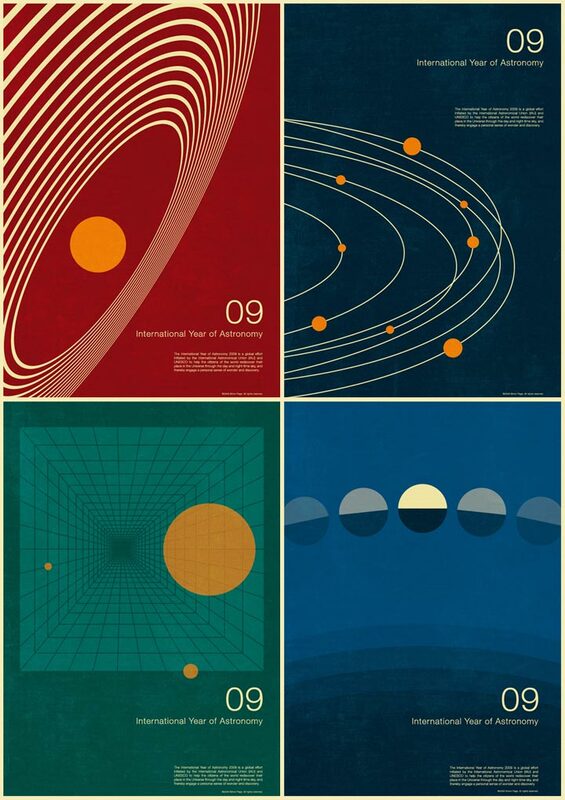 Meanwhile, Simon C Page –a then up-and-coming self taught graphic designer with a background in mathematics– self published a series of 12 prints for the International Year of Astronomy 2009. These posters embrace the influence of minimalism on graphic design of the second half of the 20th Century, linking his designs to work by the likes of Saul Bass, Wim Crouwel and others. After publishing the series on his blog, the images went viral. In fact, the prints were so popular that the International Year of Astronomy committee ended up adopting these as official posters for the campaign. "It was really fun working with Syd on this," ads Simon C Page. "I remember him showing me the first rough draft and even then thought how great they looked animated. Syd was also quite perceptive in that he thinks my work is made to be animated as I think to some extent subconsciously I like my work to look like that and try to create it that way." Note to movie producers: Simon says he would love to get into animation, and create titles, "I would love to do a full title sequence with geometric shapes for a movie - but for now I'll leave this to the experts like Syd." Even though he worked on The Spirit Of Apollo for so many years, Syd has an appetite for more. “Right now the N.A.S.A. project lives on in other collaborations. I've done several post N.A.S.A. projects with both Sage Vaughn and Sheppard Fairey, and I am currently planning a collaboration with Gregg Gun formally from Three Legged Legs. Sam and Ze [DJ Zegon, the other member of N.A.S.A.] just started a second N.A.S.A. record, I talk to Sam almost every day and I'm pretty sure I'll be signing up for a second round. Visit Syd Garon's Vimeo to see some of his other animations and title sequences, including his Main Titles for the HBO doc Superheroes, for which he was nominated for an Emmy Award in the category Outstanding Individual Achievement in a Craft: Graphic Design & Art Direction. “Lately I have found myself drawn to creating title designs for films, I've done about ten now and it's my new favorite thing. I tend to get a huge amount of creative freedom and, unlike a music video, you can actually make a living doing them. Article: Remco Vlaanderen, © Submarine Channel 17 April 2013. Animator/director Syd Garon's first film, the epic and acclaimed music film 'Wave Twisters' premiered at Sundance in 2001 and won Best Midnight Movie at SXSW. In 2003 Syd moved from Miami to L.A. where he met Sam Spiegel with whom he embarked on the epic collaborative animated film and music project N.A.S.A. The Spirit of Apollo. A documentary about the project was released in 2013. In between his collaborations for N.A.S.A., Syd worked on ads, music videos and title sequences. 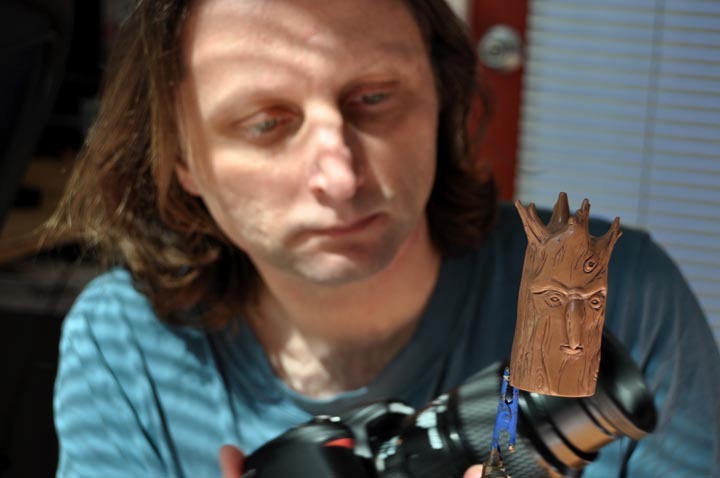 He received an Emmy nomination for his animation work and opening title sequence for the HBO documentary Superheroes. Currently, Syd is animating storyboards created some 40 years ago by legendary comic artist Moebius (Jean Giraud). The animations will be part of a “sci-fi documentary” by Frank Pavich that covers cult film director Alejandro Jodorowsky's attempt to create a big-screen adaptation of Frank Herbert's seminal science fiction novel, Dune. 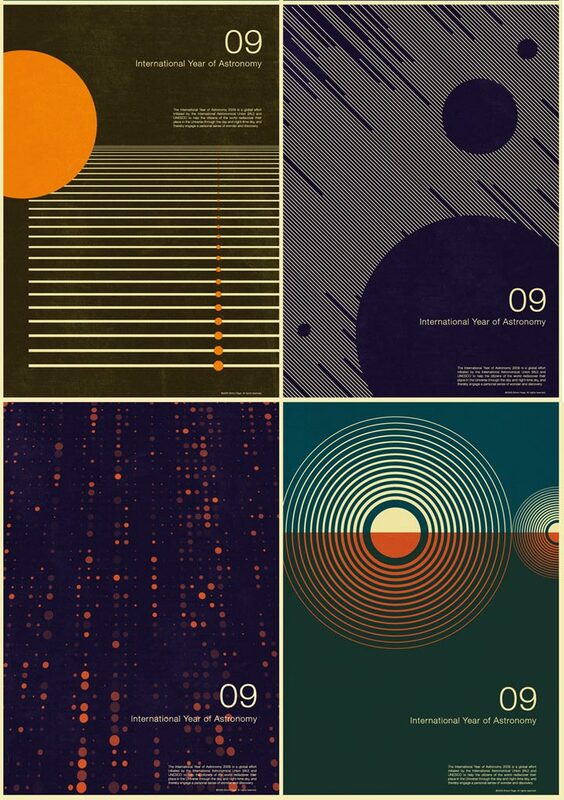 Self-taught British graphic designer and illustrator Simon C Page studied for a degree in applied mathematics and worked a finance job for a property company before catching the “graphic design bug” from –believe it or not– putting together corporate presentations. A collegue suggested entering a poster design competition and the rest is history. Page now creates logos, designs and editorial illustrations for numerous international brands and organisations. But the most fun, we think, are Simon's personal projects, which include nifty wallpapers for mobile devices, experimental typography, and stylish geometric patterns for fabrics and print that reveal his background in mathematics. These also show that Simon is an ace when it comes to creating color schemes. Simon continues to create alternative posters which look and feel reassuringly retro-futuristic, like this recent one for Hitchcock's The Birds (2013).